Maybe we are all missing something here, but even the most strident Arsenal fan will admit that Andrei Arshavin’s performances for the club, over the past year or so, have been utter pants. However, according to a poll taken in Russia last month, the diminutive, under-achieving imp is still the best sportsperson the country has to offer. The former Zenit St Petersburg schemer topped the poll which was organised by sociologists of the All Russian Center for Public Opinion Studies. Arshavin, captain of the national team, won the award (for the fourth time) with just 5% of the vote, a drop from 18% in 2008. He was followed in the poll by heavyweight mixed martial arts fighter Fyodor Yemelianenko (4%), biathlete Olga Zaitseva (4%), and former two-time WBA heavyweight champion Nikolai Valuyev (4%). Admittedly he only garnered 5% of the vote, but still, haven’t the Russians been following Arshavin’s dismal performances in the Premier League? Are things really that bad in Russian sport? To be fair, he did lead his national side to qualification for the Euro 2012 finals, but even then, his own performances in the competition were hardly inspiring. Or is the teeny playmaker’s quirky and bizarre website the real reason why he won again? Who the hell is Fyodor Yemelianenko? It’s Fedor Emelianenko and he’s gone rubbish! So yeah looks like they’ll have to resurrect Ivan Drago. Ah! Fair enough! Was wondering for a minute! “Yemelianenko” is closer to proper pronounciation. Same goes for other Russian names. Take Arshavin for example: proper pronounciation of his first name would be more like “Andryei” or “Andr-yay”. Thierry Henry make arshavin better. 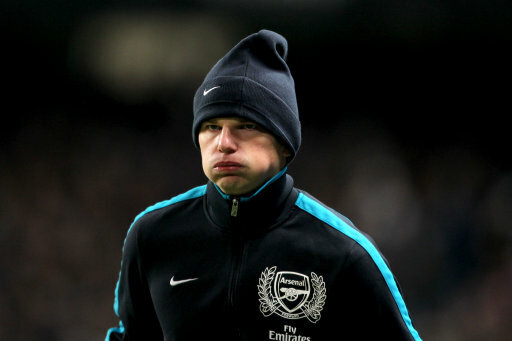 Arshavin no like when Van Persie score all the goal and make Arshavin look like fool in practice. Ребят, не парьтесь по поводу Аршавина. Мы сами тут в России не поймем, кто его определил на первое место, т.к. за него уж давно никто не голосует из нормальных болельщиков.Все эти опросы – липовые.